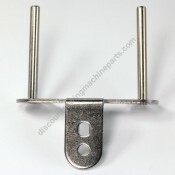 Welcome to our sewing machine spool pins and caps page. 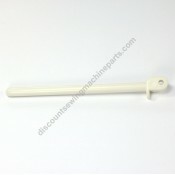 Here you will find a large selection of sewing machine spool pins and caps. Click on any part to get more information including a complete listing of compatible sewing machines and alternate part numbers for a specific spool pin or cap. 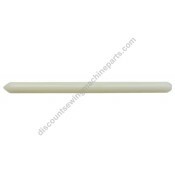 Fits into small hole on the top of machine.Alternate Part Numbers130920021, 130920051, 172505 for Si..
Use the extra spool pin when using spools with a size that cannot be loaded into the thread cassette..
Used for twin needle sewing and other decorative sewing. Inserts onto the bobbin winder shaft. Use.. 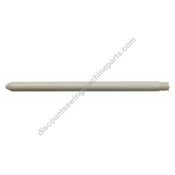 Fits the following Brother sewing machine models CE5500PRW, CP6500, CP7500, CS5055PRW, DS120, D..
Metal retractable vertical spool pin. 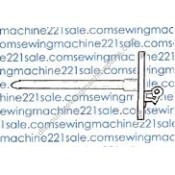 Fits machines liste below and some other Brother VX series ma..
Horizonal spool pinFits the following Babylock sewing machine models BL6000, BL9500, ES2, ES2, BL.. 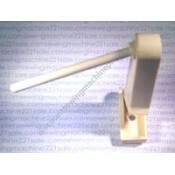 Mounts internally.Fits the following Babylock sewing machine models BL6150, BL6600, BL2150Fits the ..
Alternate Part NumbersX59053052Fits the following Babylock sewing machine models BL2160, BL6200, B.. 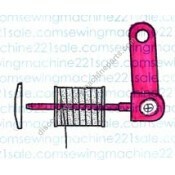 Brother spool pinAlternate Part NumbersXA1786053Fits the following Brother sewing machine models 300.. Fits many brands and models requiring double spool pins. 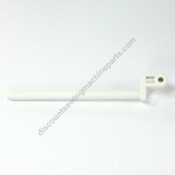 Single hole mount, can be substituted for m..
Horizontal spool pin for Singer models.Fits the following Singer sewing machine models 6408, 6412, ..
Push-in or glue-in (plastic).Fits the following Singer sewing machine models 1060, 600, 603, 604,..
Horizontal spool pin for Singer models.Fits the following Singer sewing machine models XL1000 Quantu.. Plastic Push-in, Glue-in or some are held in be a set screw on the under side of the top lid. 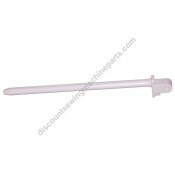 Pleas..
Screw-in (plastic).Fits the following Singer sewing machine models1425..
Sold complete includes part numbers: E1A1423000, 004230036, E1A1433003 molded together as one unit.F..
Horizontal spool pin assembly for Singer models.Fits the following Singer sewing machine models XL1 ..
Large spool holder designed to hold spool in place and to override the rough end of the spool. 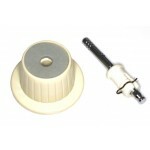 Try t..
Use spool cap 74765.Fits the following Kenmore sewing machine models158.1784080, 158.1784182..
All metal retractable spool pin kit sold complete ONLY. 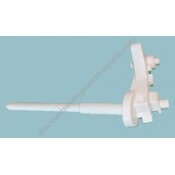 Includes spool pin, bushing and metal retai..
Small spool holder for small or narrow spools. Also for spools without ends. Compatible with spool..
Horizontal spool pin, tilts up for easy thread replacement. 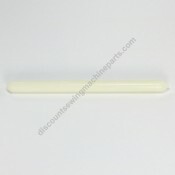 Compatible with spool holder large #82.. Fits Brother horizonal spool pins for large spools of thread. Measures approximately 45mm.Alternate.. Fits Brother horizonal spool pins for medium spools of thread. Measures approximately 33mm.Alternat..